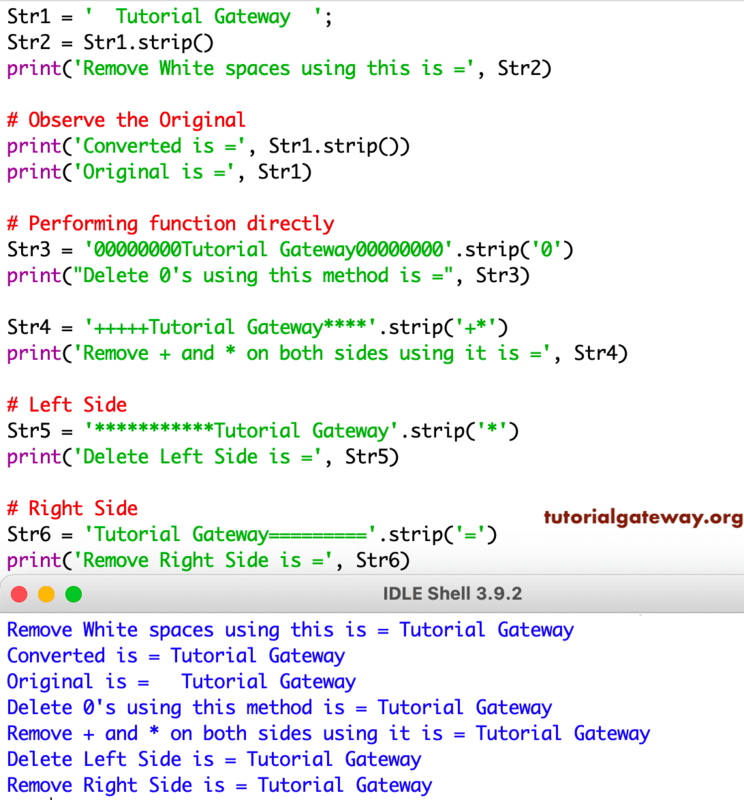 Python Strip method is one of the Python String Method which is used to remove the specified characters from both Right hand side and Left hand side of a string (By default, White spaces) and returns the new string. In this article we will show you, How to write Strip() Function in Python Programming with example. Chars: This parameter is optional and if you Omit this, Python Strip Function will consider the white spaces as default parameter. In order to change the default value, Please specify the Characters you want to strip from the string. The following set of examples will help you understand the Strip() Function in Python.